"We are about to witness the greatest transfer of wealth in the history of mankind, in a way so stealth most people won't notice, through inflation, people will wake up one day and find their wealth has been destroyed. People will wake up looking for the culprits. A great illusion, Bernanke pointing to the benefits of QE, setting the stage for the transfer of wealth by inflation. People will look for scapegoats"
QE3 crossed the Rubicon due to open ended nature, targetting growth. The only reason we have limited / no inflation is the slow velocity of money. Velocity can pick up through growth or when the US$ weakens or there are signs of inflation. 2) The Federal government are adding trillions in deficits whilst interest rates are low, at normal rates will kill the govt. 3) The Fed's $3trn balance sheet consists of mainly long term holdings, where will they sell? Long term bonds are more sensitive to rising interest rates. Therefore the only option to print more money. 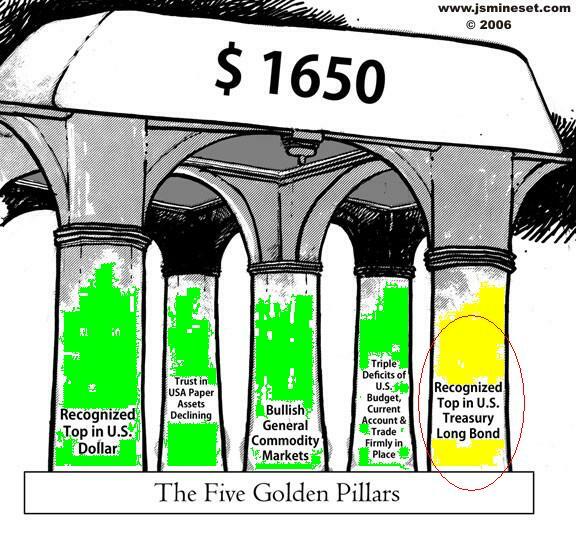 The Fed are the largest buyer of treasury bills, a vicious cycle of printing money. Europe will have to print money while they try to arrange a fiscal union. Doesn't think the European core and periphery can merge to a fiscal union. Canaccord chairman counters that it is difficult for anyone to come out and that Germany will take control. 20mins : People frozen in fear, are in cash. Zero rates, forced to invest. Stay in cash or chase yield. Development and exploration shelved, does see supply issues in commodities. Discusses agriculture investments. Ranking of 1970's performance : Oil, Gold, Real Estate & Farmland, Rare Art. Very select real estate. Rare, can't be duplicated, central London, Manhatten etc, always of interest to those with money, so much cash in the system. Art museum quality pieces put out to museums. 29 mins : Farmland paid a lot of attention to. Yield from management. Tough business. Canada and S. America investments. Sees a food crisis. Refers to article by Jeremy Grantham at GMO Capital, "Welcome to Dystopia". Food crises fermenting political revolution. Concerned about resource nationalism, miners looking like windfall targets, do not see the cycles and risk taken in building a mine. Commodities as a political weapon worry him even more. 16% to 35% mine production from riskier countries.